Patong is where all the action takes place in Phuket. This bustling town pulsates with a vibrant beat, and has garnered a reputation for being the destination of choice for revellers and party-goers. While the town almost always buzzes with a busy vibe, it’s becoming increasingly family-friendly, with attractions like a kids club, shopping complexes and adventure parks sprouting up all around the town. 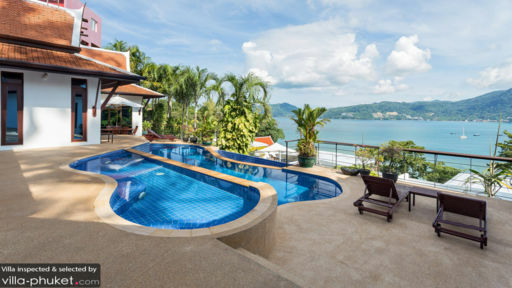 Your Patong villa may just be a skip away from the hot spots in town - yet it never feels that way. 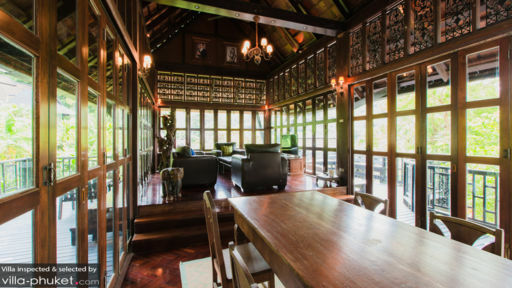 Nestled away in a quiet hilltop location, your villa exudes a sense of serenity and offers ultimate privacy. Lush tropical forestry enveloping your villa and the sparkling pool add to the ambience. Soak up the luxury of having impeccable service and a full range of modern amenities at your fingertips. As one of the most popular beaches on the island, Patong Beach is a flurry of activity with numerous dining and nightlife venues and a sizable crowd of sunseekers. A busy beach is not every villa vacationer’s cup of tea, so hop on a longboat out to the beaches of Freedom, Tri Trang or Paradise for a feel of relaxing on a quiet, remote coast. There’s entertainment to be found away from the beach too. The sprawling complex of Jungceylon Shopping Centre boasts amenities like an arcade, bowling alley and a cinema showing the latest releases. Located a skip away from Jungceylon is The Kids Club Phuket, an entertainment centre where you can let your kids run loose. They’ll have a ball of a time on the swings, trampoline, crawling tubes, indoor soccer pitch and flying fox. 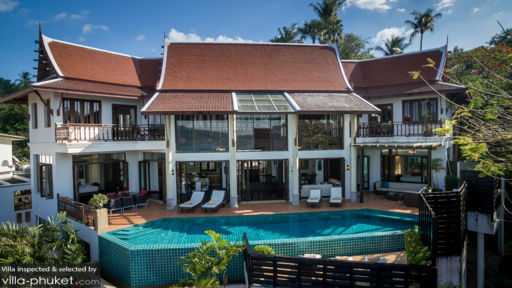 While your little ones are having fun, unwind at luxury spa centres like Aqua Spa (at Avista Hideaway) or Swissotel’s Thai Spa or join in a Thai cooking class at Pum’s Cooking School. Or round up the whole family for adventure sports at Surf House, Flying Hanuman, Phuket Wake Park and Patong Go-Kart Speedway. Restaurants are scattered all around the vicinity, so dining out is a breeze. Two Chefs is great for burger nights, La Gritta is our to-go venue for Italian fare, Lim’s Restaurant offers contemporary Thai in an elegant setting and Home Kitchen, Bar and Bed is a beautifully appointed beachfront restaurant. For pre or post-dinner drinks, try Wassa Homemade Bar, Le Versace and Paradise Beach Club. For a change of atmosphere, venture out to Kamala Beach, about 17 minutes’ drive from Patong Beach. The vibes here are quieter and more relaxed, and its coasts are peppered with an array of family-friendly venues. Plan your day trips around attractions like Radar Hill Viewpoint (48 minutes’ drive), Big Buddha (49 minutes’ drive), Old Phuket Town (36 minutes’ drive) and Kathu Waterfall (22 minutes’ drive). Water sports enthusiasts will enjoy snorkeling or scuba diving with recommended operators like Bubba Diving Phuket and Infinity Ocean Diving.